The most recent addition to our many laser skin treatment options at Valley View Laser M.D. is the Elite MPX by Cynosure. Recognized as the most versatile platform today, the Elite MPX offers professional laser hair removal on all skin types, as well as acne treatment, back hair removal, and treatment for pigmentation, wrinkles, facial and leg veins, as well as the integrated IPL hair removal and IPL skin rejuvenation treatments for photofacials, dry eye treatments and rosacea, with IPL treatments performing better than laser treatments for rosacea. 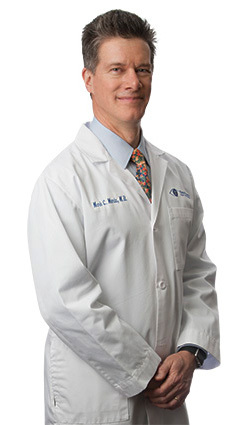 Visit Valley View Laser M.D. for permanent hair removal, back hair removal, facial hair removal and skin rejuvenation. This revolutionary IPL treatment and professional laser hair removal technology sequentially combines gold standard wavelengths in one system: the 755 nm Alexandrite laser, 1064 nm Nd:YAG laser and new Intense Pulsed Light System. By sequentially emitting dual laser wavelengths, Elite MPX provides safer and more effective acne treatment, back hair removal, laser facial hair removal, and other laser treatments for hair removal than single-wavelength systems. We can select wavelength combination (Alex/YAG, Yag/Alex) for customized treatments for all skin types for professional laser hair removal results and overall IPL skin rejuvenation. For our patients, that means greater satisfaction with acne treatment, back hair removal, laser facial hair removal, and other laser treatments for hair removal and IPL treatments. For us, that means greater control. A full range of spot sizes and pulse durations combined with the blending of wavelengths allows us to customize acne treatment, IPL skin rejuvenation and professional laser hair removal to the best skin treatment for the individual patient. The Elite MPX IPL System incorporates high output intense light at a broad wavelength range to diffusely target unwanted pigment, redness, inflammation, sun damaged skin and dyschromia. This IPL treatment is used to treat rosacea in a more effective way than laser treatment for rosacea, as well as treating acne and dry eye conditions, and IPL skin rejuvenation. 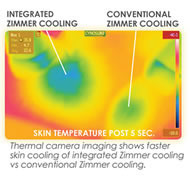 New integrated Zimmer Cooling, unique to this laser company, allows more comfortable back hair removal, acne treatment, IPL skin rejuvenation and overall laser treatments for hair removal over larger areas with reduced risk of burning or irritation. We believe that having the best laser skin treatment technology in the hands of the best people leads to the best outcomes of laser treatment for hair removal, acne treatment, laser facial hair removal, back hair removal and other cosmetic skin treatments for our patients.